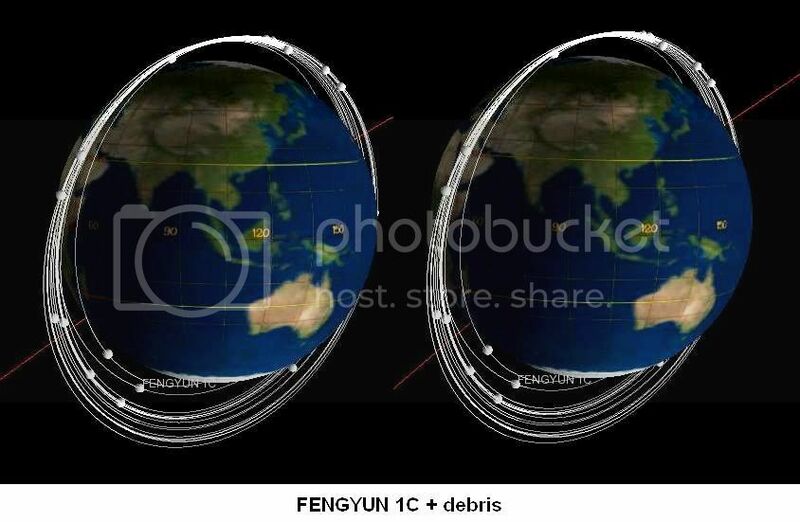 Next message: Kevin Fetter: "Wide angle sat viewing working so nicely"
Previous message: Marco Langbroek: "Re: FENGYUN 1C satellite and debris in 3D"
In reply to: Tom Wagner: "FENGYUN 1C satellite and debris in 3D"
because fragments fly off in all directions. 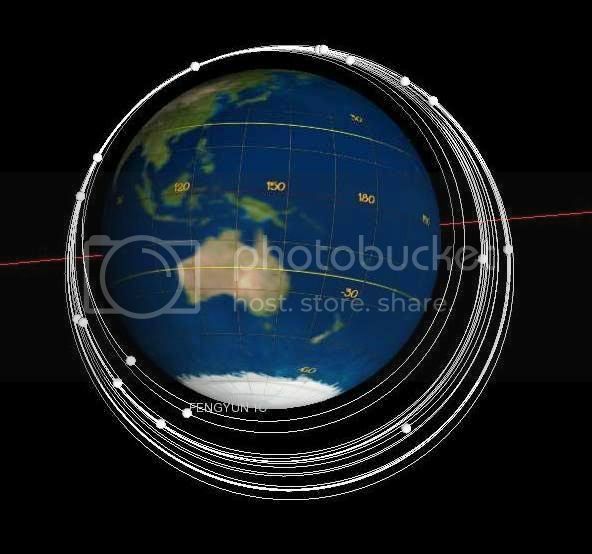 satellite was on a northbound or southbound orbital leg. 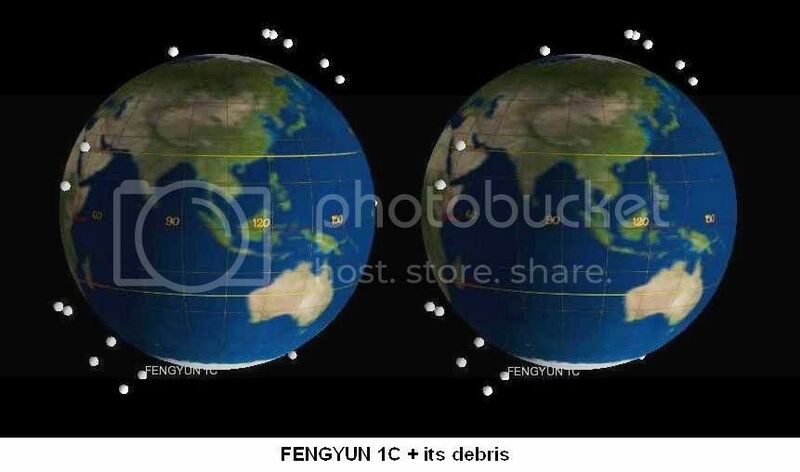 is highly likely to have been sub-orbital so fragments are unlikely. only managed to draw one conclusion from them. > one of the 16 pieces has changed from the original orbit. > others like it too. > each eye, feel free to ask. I've trained many people how to do it. > These last two shots show two different perspectives. 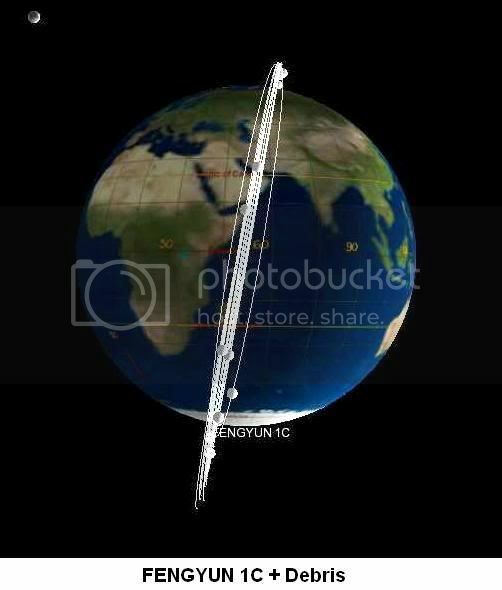 > I wonder if it got hit when it was at its perigee?